Browsing through numerous apps on app mart, it would have occurred to you to have an app of your own ; ideas like building a banking app, a game or an app that writes essay for you to name a few. 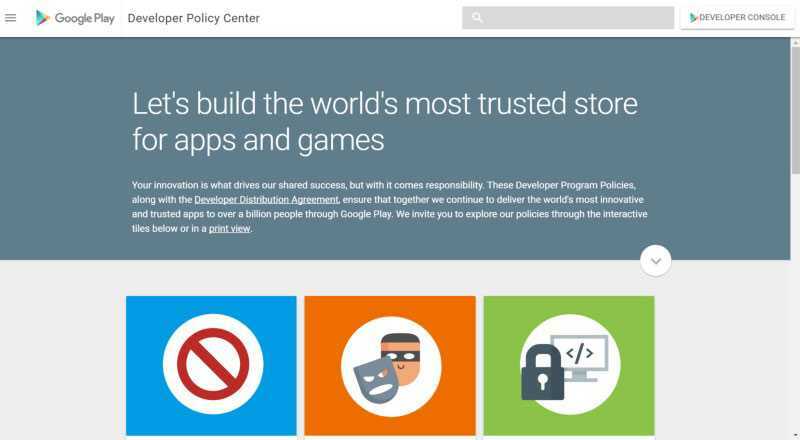 The policies will give you a guideline on restricted topics, IPR, security, enforcement, updates etc. Rate your app accurately: To receive an accurate rating it is important to provide accurate information while answering the content rating questionnaire. Update your email contact information: On the developer console ( Link: https://play.google.com/apps/publish/signup/#) make sure you update your email id. This way any violation or change in policies would be intimated accordingly to you by Google..
You can report a policy violation, apply for verification or report warning and contents.